Unlike previous years, overseas Vietnamese or OV this year are buying tours for the Lunar New Year holiday or Tet later than normal while no sharp sales growth is reported. Many tourism companies are still offering tours to these customers with only just over three weeks to go before Tet. Normally, overseas Vietnamese customers make up a considerable part of the total number of tour buyers for the Lunar New Year holiday, with certain firms attracting thousands of customers exclusive of their relatives in Vietnam joining the tours. Numerous tour operators informed that the number of tour buyers this year would not increase compared to the previous Tet holiday and that customers were purchasing tours more slowly. “We are still receiving bookings from customers, so the data on customers is not yet sufficient but the number will not rise,” said Nguyen Minh Man, director of the communications department of Vietravel. Similar to Vietravel, many other firms are also waiting to hear from customers. Of the customers who have already purchased tours, many have chosen tours to places such as Dalat and Phan Thiet, while others choose to go to neighboring countries such as Singapore, Cambodia or Hong Kong with their relatives. Lots of customers chose to start their trips about one week ahead of Tet to have time to spend the traditional holiday with their families. “Multiple clients have decided to tour before Tet. We are catering to a group of overseas Vietnamese touring Singapore-Malaysia-Thailand before returning to Vietnam to visit a number of tourist destinations like Hanoi and Hue. The number of such visitors does not increase this year,” Cao Pham Hang, director of VietJet Tours, reported. In fact, only a few enterprises including Saigontourist Travel Service Company recorded an increase in overseas Vietnamese as tours buyers. 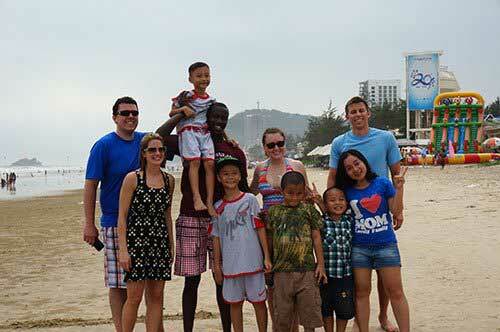 The local tourism company has sold plenty of tours to Phan Thiet, Dalat and Nha Trang and abroad to these clients. “We have yet to have specific statistics but overseas Vietnamese have bought many tours for this Tet holiday,” Doan Thi Thanh Tra, marketing and public relations manager of Saigontourist, remarked.